I took part in Aardvark Swift's Search for a Star. Like last year the second round fixing broken code and making a fun game out of it over the course of a week. It was coded in C++ with no middleware besides permitted use of the DirectX SDK and standard Windows system libraries. I used XAudio2 for music, SAPI for text-to-speech and basic DirectX for graphics. The game was a simple shoot 'em up. 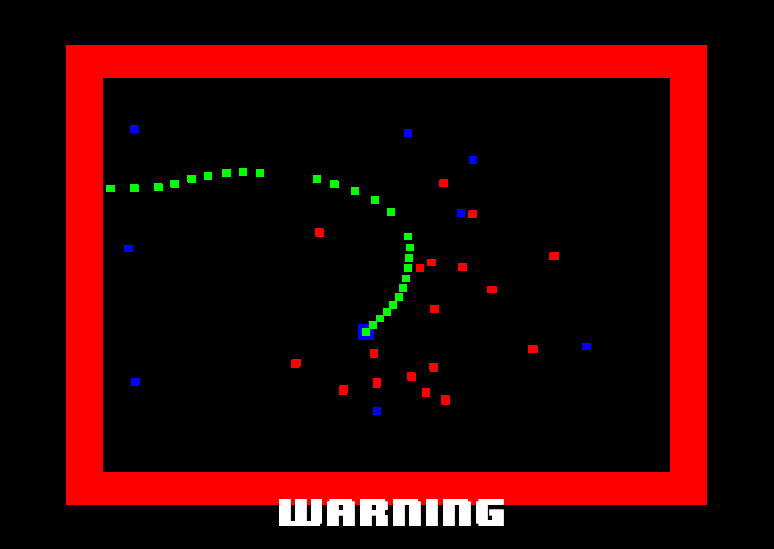 With a lot more work it would end up like a Polygon Wars clone. Rather than attempt to add advanced graphics I concentrated on events and getting audio working. On the technical side C++11 features were used and an event handling system that bound lambda functions for execution later was implemented. I used a combination of Perlin noise and interpolation to move the enemies about in an interesting way. I think a good addition would have been to use audio analysis features such as beat detection to influence the gameplay, maybe affecting movement of some enemies or the rate at which enemies came onscreen. Adding custom shaders and particle effects as well as a better HUD would be the best additions on the graphics side.